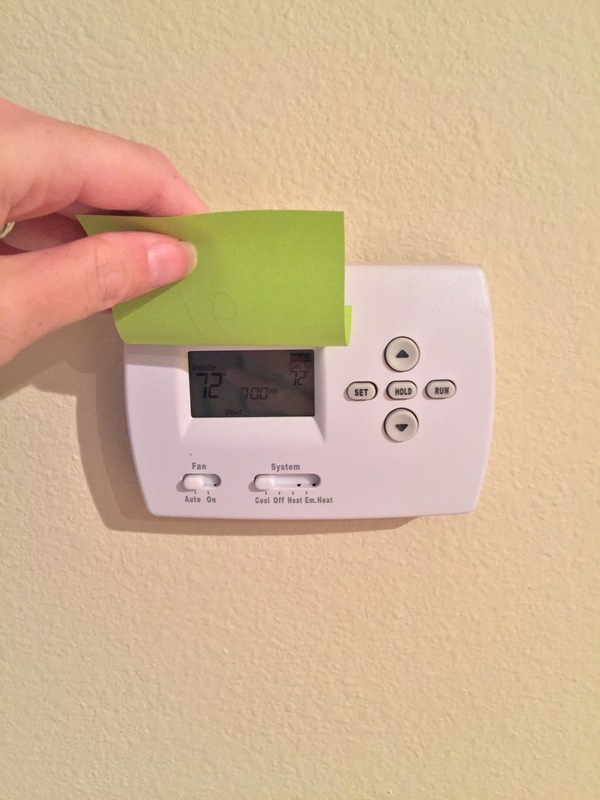 Last week, we hit the wall on a deal-breaker kind of matter–the thermostat. Anyone practicing co-habitation knows what a serious matter this is. I swear to you that we moved to the hottest state in the US only to live in the coldest condo. Keegan likes to keep our place just above freezing. Let me remind you again we live in Florida in the middle of summer. 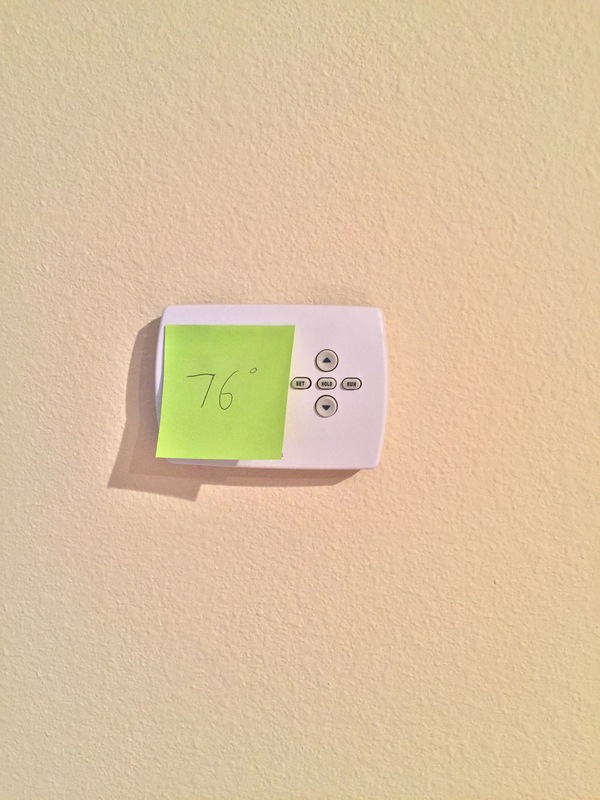 After a serious of temperature changes throughout the weeks, Keegan proactively decided we could compromise on the temp of our condo. “What a loving husband!” you say. “A regular Casanova there, Bri!” you cheer. So I came home one day to see his hilarious solution to our very serious problem. hahaha There you have it. It’s 76 degrees in our condo.